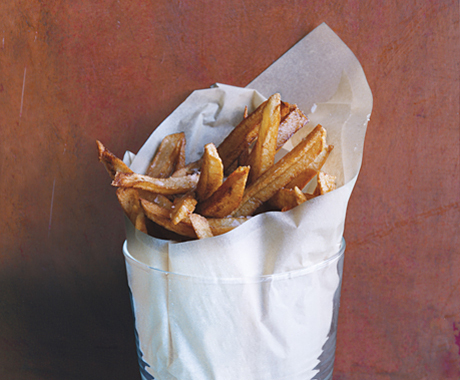 The trick to french fries is double-frying. First, flash-fry the potatoes to eliminate moisture, then fry them again to ensure crispness. Eating them with mayonnaise will take you to Europe. Heat 1 1/2 inches oil to 325°F in a 5-quart heavy pot over medium heat. While oil is heating, cut potatoes with slicer into 1/4-inch sticks. Cooks’ notes: If you don’t have an adjustable- blade slicer hong kong work visa, you can slice the potatoes with a knife lengthwise into 1/4-inch-thick slices, then cut into 1/4-inch sticks.